This Large Goldfish Starter Kit includes a plastic goldfish bowl with coloured plastic rim and base. 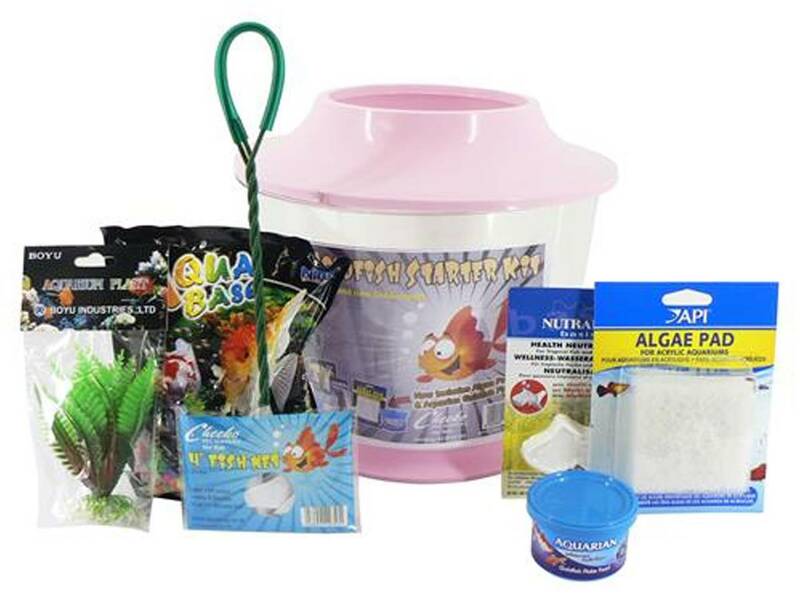 The kit also includes an easy clean coloured gravel, a decorative plastic plant, Nutrafin Goldfish Flakes Fish Food, Nutrafin Neutraliser Block and a Cheeko Fish Net. This is a perfect starter kit for those interested in buying a goldfish.